The purpose of trend forecasting is to provide insights and directions in anticipation of what the future may bring, and to be prepared for the unexpected. 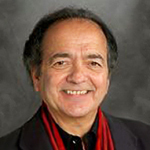 Gerald Celente, founder of The Trends Research Institute and author of the national bestseller Trends 2000: How to Prepare for and Profit from the Changes of the 21st Century, understands the importance of proacting rather than reacting: “The first rule of Close Combat is to attack the attacker. Visit https://www.holisticsurvival.com/podcast-with-holistic-survival.php. Action is faster than reaction. The same holds true for the future. You know the future is coming … attack it before it attacks you.” Tune in to this episode of The Holistic Survival Show to discover the upcoming trends and the tools needed to make profitable business, career, or personal decisions for your future!